Super soft quilted baby blanket in light grey with white triangles. Size 100 x 100 cm. Made of organic cotton with synthetic filling. 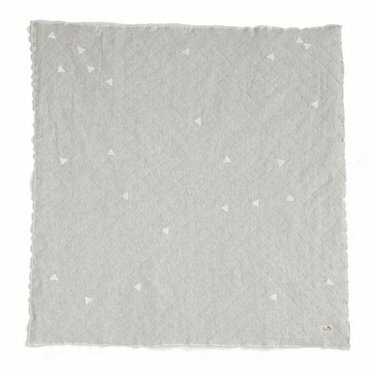 Super soft and comfortable blanket for the little ones. In fine pastel colors that are also trendy because of the hand-printed triangles. Washable at 30 degrees (machine wash program).